- We strive to make the building process easy and enjoyable by getting to know our clients before the project begins. - From the design phase to completion we believe that the best results come when there is a collaborative building process. - As a member of MN GREENSTAR we focus on the best combination of beauty, energy efficiency, indoor air quality and longevity because we care about the families we put in our homes. - Our employees are knowledgeable, courteous, helpful and professional - delivering you a project that meets or exceeds your expectations - guaranteed! - We are budget conscious. Our expertise is high and our overhead low to insure that you get the most for every construction dollar. 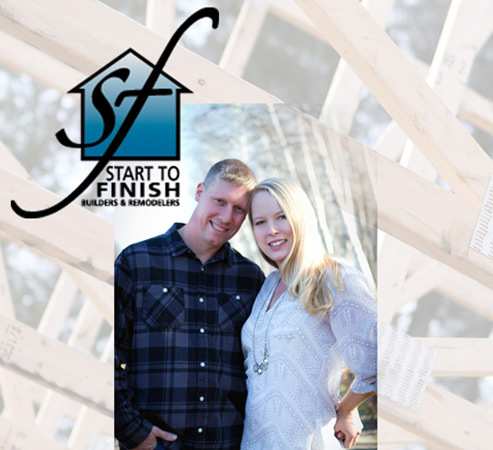 - Start To Finish has built its reputation as an award-winning builder by doing quality work, with the best available materials and practices, one project at a time. Contact us today and find out what Start To Finish can do for you. A remodel, addition, & especially a new home, can require a significant investment. Make sure you get the greatest return on your construction dollar by choosing a builder you can trust. Exceeding your expectations from Start to Finish.